What is the purpose of the single gas cylinder trolley? 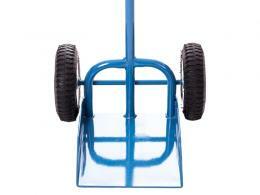 The single gas cylinder trolley is designed to do all of the heavy lifting for you. 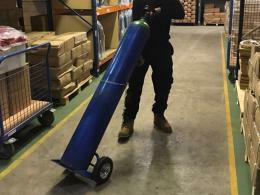 Made to accommodate heavy gas cylinders up to 270mm diameter so that you don’t have to lift them, move them and heft them around any longer, the gas cylinder trolley is the perfect tool for everyone from welders to home care attendants who need to move steel cylinders on a regular basis. 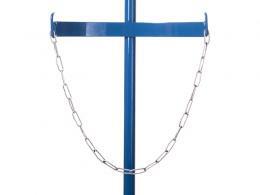 Where can this cylinder trolley be used? The single gas cylinder trolley features large, pneumatic tyred wheels which are capable of manoeuvring over rough ground and around corners. Because of this, this trolley is ideal for both indoor and outdoor use and can be used in the home or in a commercial setting. 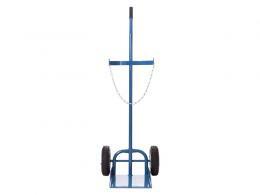 Who might use this gas bottle trolley? 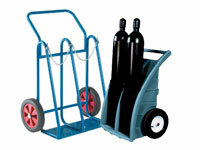 This trolley is ideal for people who rely on cylinders for work. Because it can accommodate cylinders between up to 270 mm in diameter, this trolley is well-suited to a variety of cylinder sizes and shapes. 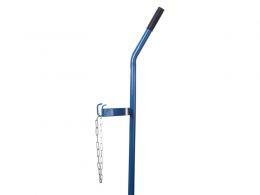 Additionally, the 50kg capacity makes it sturdy enough to work hard all day long without breaking down or wearing out. 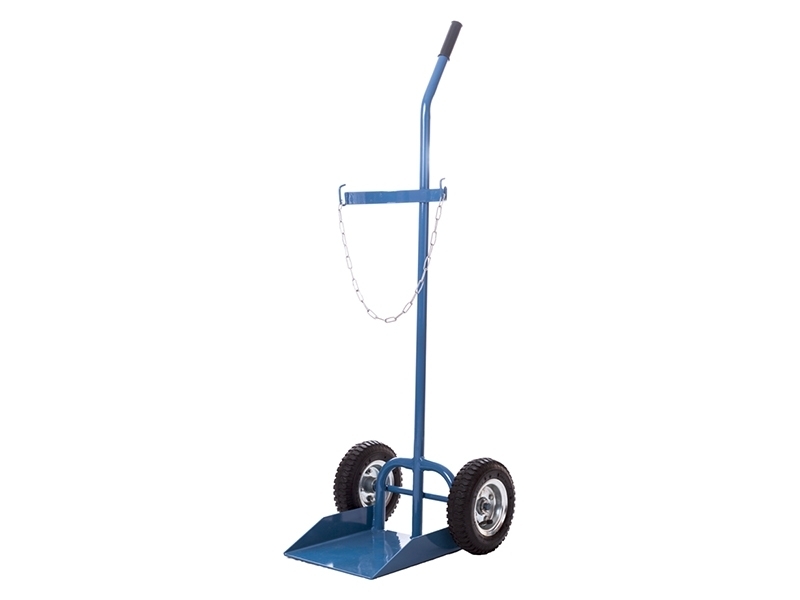 Whether you need to transport cylinders into a nursing home or you’re moving gas cylinders for welding, this trolley is ideal for home or business use.